Smart homes aren’t a recent innovation. We’ve actually been fiddling with the concept since the 70s when the first home computers started to hit the market in a big way. Sure, games were awesome and all but people wanted something that could REALLY be useful. 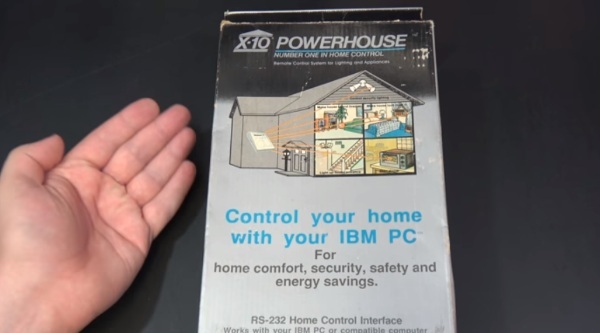 This video from Lazy Game Reviews takes a look at smart homes of the past. This video looks at the X10 which is a smart home product that amazingly is still in business. They’ve upgraded their tech quite a bit from the DOS era. The system controls lights and other electronics which doesn’t sound very exciting. It used powerlines directly to turn things on and off. This isn’t as sophisticated as the ones we have today and it’s clear how far we’ve come and also how many gadgets we can control remotely these days. If you like retro technology, check out this cool little video. See below.